Here at Blue Forest HQ we have our fingers crossed for cloudless nights over the coming week, as the Perseid meteors will be making their spectacular annual journey across the skies of the northern hemisphere. Luckily the moon will be waning (becoming a thinner crescent) during the shower, which means that the sky will be nice and dark, perfect for spotting the meteors as they race across the sky. The best time to watch for the Perseids is late at night, although astronomers haven’t ruled out the possibility that the meteors could appear earlier in the evenings between 11th and 14th August. As you wait for the meteor shower to begin why not see how many constellations you can spot? 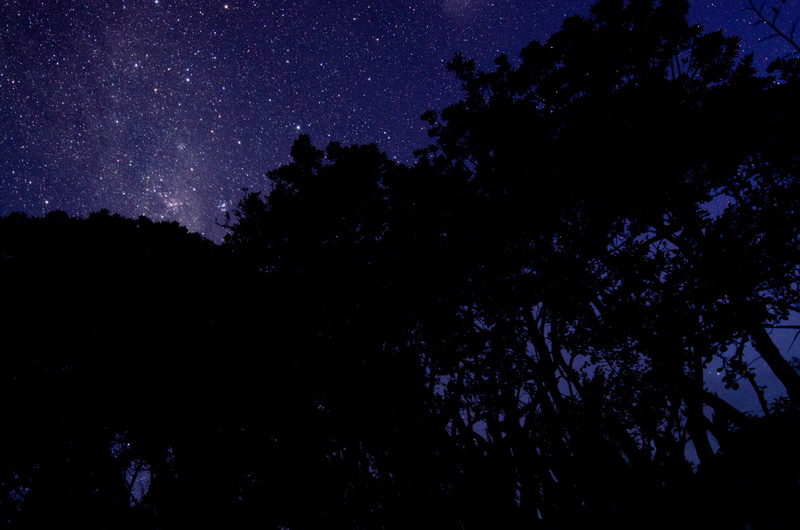 If you have a smartphone then this clever app can map out the night sky, if not then Earth Sky have a dedicated page describing what to look out for in the sky each night. We have compiled a list of our five favourite constellations, all of which can be seen in the UK night sky during August. If you are planning to spend a few hours under the stars on the lookout for meteors, then see how many of these well-known constellations you can spot before the shower begins. The Big Dipper, or Plough as it’s often known in the UK, is usually one of the easiest constellations to spot. The name of the constellation comes from it’s saucepan-like shape and, just like the Perseids, it can be spotted in the northeast part of the sky. This constellation is handy for finding other interesting points in the sky. The two stars which make up the right hand side of the dipper point directly to the bright North Star, which has been used throughout history as a navigation point for sailors and explorers. Once you’ve found the North Star then you have also found the Little Dipper! The North Star forms the start of the “handle” of this constellation, which can be found just to the left. Orion’s Belt forms part of the larger constellation of Orion, which can be found in the southwest part of the sky. Named after Orion the hunter, a famous figure in Greek mythology, Orion’s Belt is made up of three stars in a row and rivals the Big Dipper as one of the most well-known constellations. Just south of Orion’s Belt you should be able to see a cluster of stars in what looks like a cloud, which is known as the Orion Nebula. The nebula, an interstellar cloud of dust and gases, is one of the most studied objects in the night sky, and has featured in some truly stunning photos. Sometimes known as the ‘Big W’, Cassiopeia is easy to spot due to its distinctive shape. The constellation can be found by following the line from the Big Dipper to the North Star slightly further until you can see its distinctive ‘w’ shape. As this constellation is located in the northeast the Perseid meteors are expected to appear in approximately the same area, so be sure to keep an eye out for any movement! The Pleiades star cluster actually contains far more than seven stars, however most can only be seen once the night is very dark and you have taken a few moments to let your eyes adjust. This constellation can be found by following the line of Orion’s Belt up and to the right, until you see the small, bright cluster of stars. The Nook Treehouse has a beautiful outdoor decking area that would be perfect to experience the Perseid Meteor shower. Sipping an after dinner glass of wine on The Treehouse Kitchen balcony and watching shooting stars would be equally as beautiful. Treehouses integrate the beauty of nature and organic surroundings with comfort and childhood dreams. We think they’re the perfect spot to appreciate a wonderful natural event like the Perseid meteor shower.